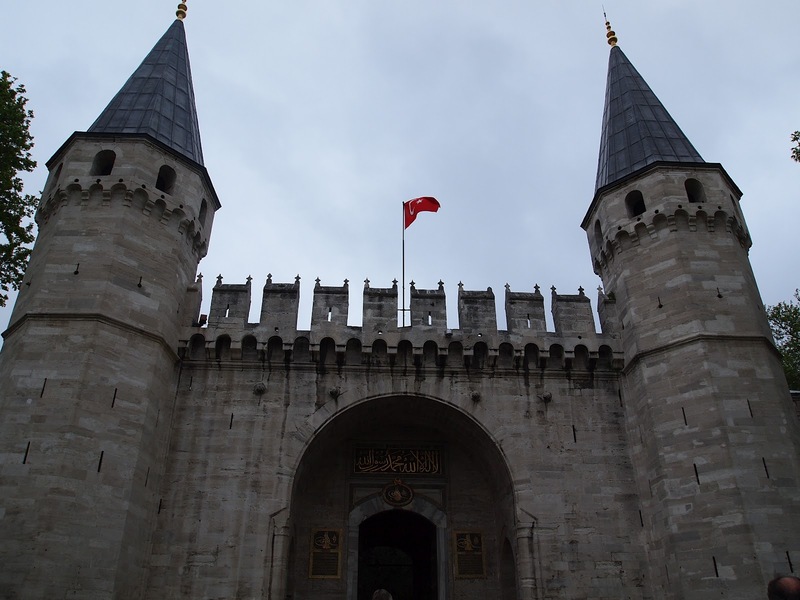 Topkapi Palace closes early in the mid-afternoon and fills up fast so if you want to see Istanbul’s most iconic Ottoman palace before the crowds at the gates become unbearable than get there before half ten. It’s 25 Turkish Lire (TL) inside and another 10 TL to see the Harem area which was in my opinion the most interesting bit and well worth the extra 4 euro. 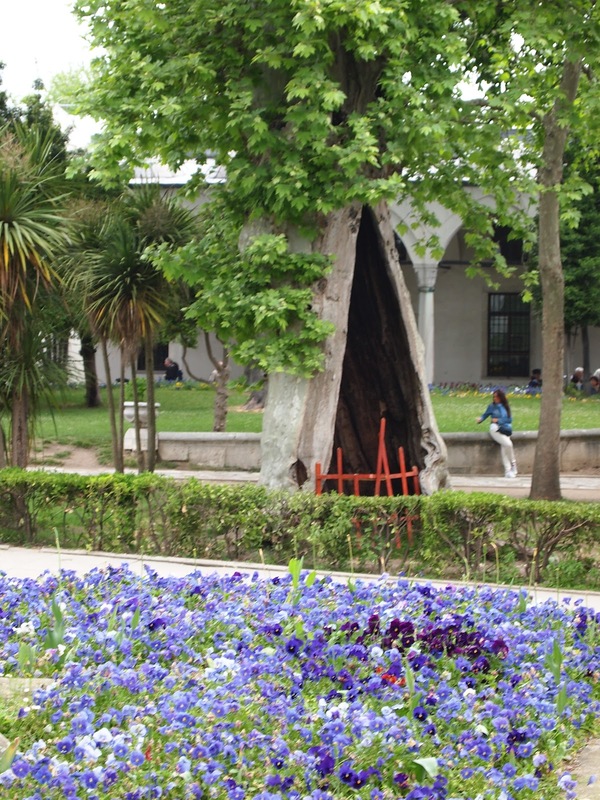 You enter the palace first through the outer courtyard where the Archaeology Museum is and Aya Irena are. The crowd tends to bottle-neck alarmingly but try not to panic. 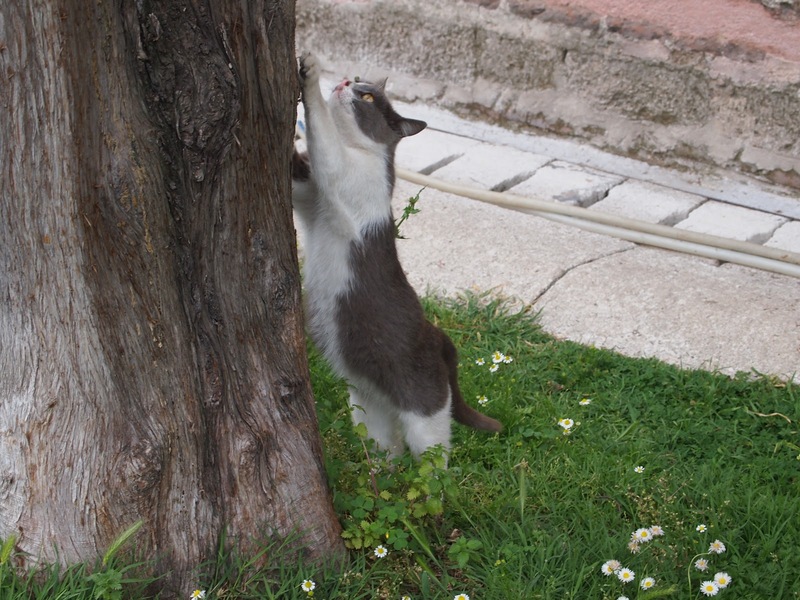 The gardens are pleasant once you’re through and allow the swarms to disperse. The palace at this point is broken into pavilion-like buildings or small rooms around the square courtyards. One of them houses an weapons exhibit and another was a meeting place for the court viziers. I take a lot of photographs when I’m travelling, I can admit this. I take hundreds a day even to the point where I usually have to delete half of them at night. But the way people around me just went “click click click” the second they walked in a door without ever actually looking at something astounded me. 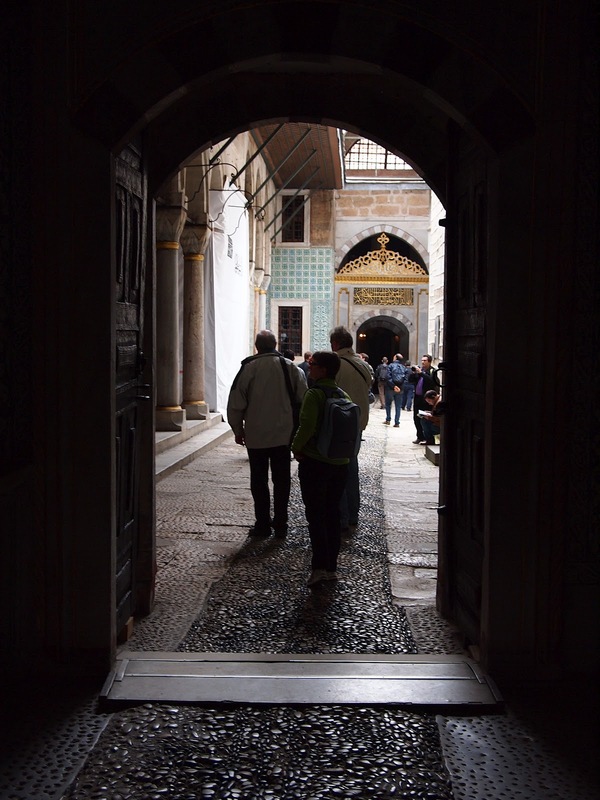 Through into the third courtyard brings you to the kitchenware exhibit (I might have skipped that one), the Ottoman Sultans robes exhibit (kaftans of hilarious girth) and the Treasury (very long queues, mostly gold plates). 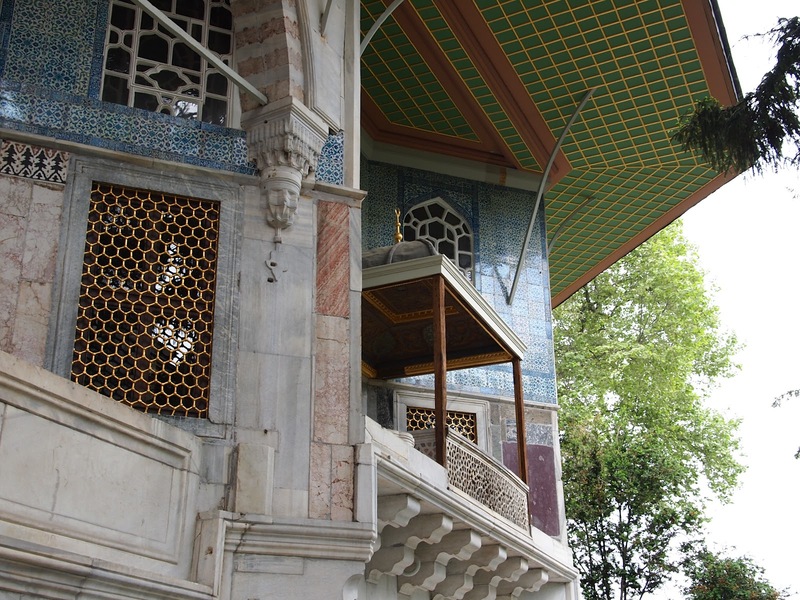 There’s also a pavilion that was the Sultan’s privy chambers that now houses relics of the Prophet Muhammad, deemed so holy that someone sits and reads the Qur’ran aloud all day. 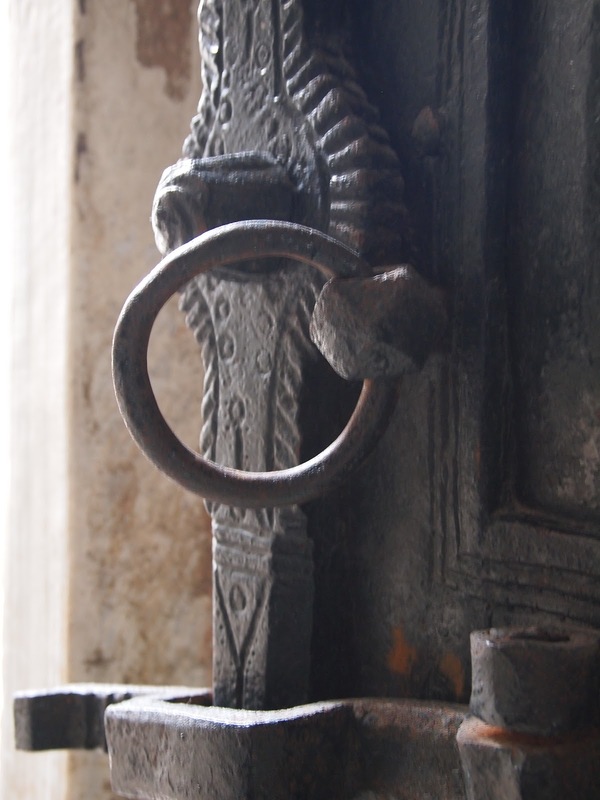 There’s a hair, a foot print, a shroud and a banner but all in ornate cases with nothing visible and even those are difficult to see passed all the noses pressed against the glass. There was a beautiful mother-of-pearl replica of the Dome on the Rock as well as a robe once belonging to Fatima which were on display and interesting. 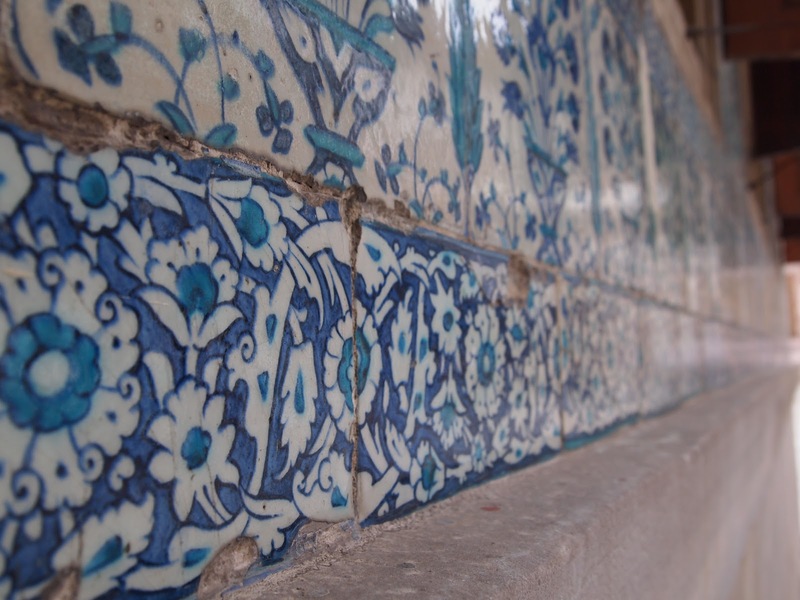 The fourth and final courtyard contains the ‘summer pavilions’ which are ornately tiled and decorated. This area is a bit more like what we would think of as a palace and less of a building of state. The Harem is in the corner of the second courtyard. The added charge plus the ban on guided tours makes it a remarkably more peaceful place than the rest of the palace. A sign reminds you to be silent. There are large informative placks posted in all the rooms filled with historical details. Much of it challenges our modern take on what these places were. This was not some kind of royal brothel. It was so much more than that. 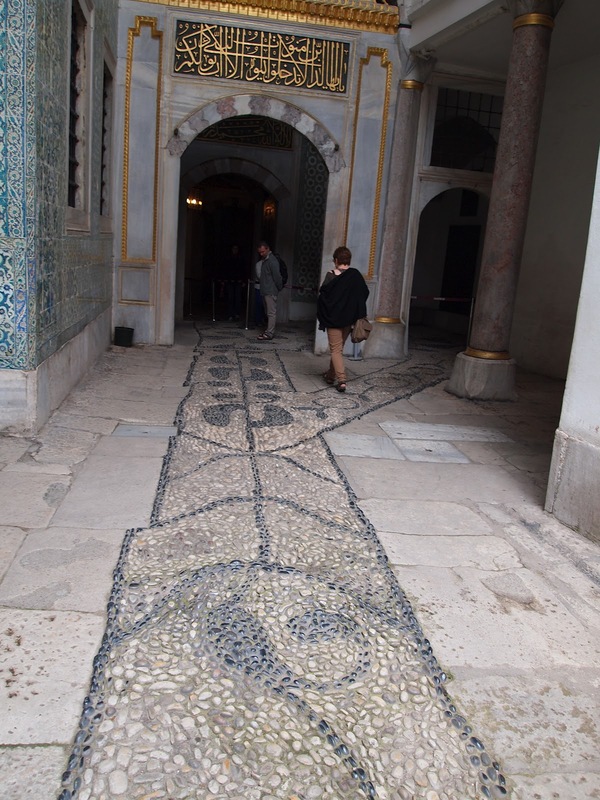 Harem means forbidden in Arabic, referring to the fact that no men from outside the Sultan’s immediate family or the African eunuchs who guarded it, could enter the Harem. The princes were educated here by the eunuchs and concubines. They were chosen for their beauty but also their intelligence, they had to be highly educated and accomplished for a place in the court. 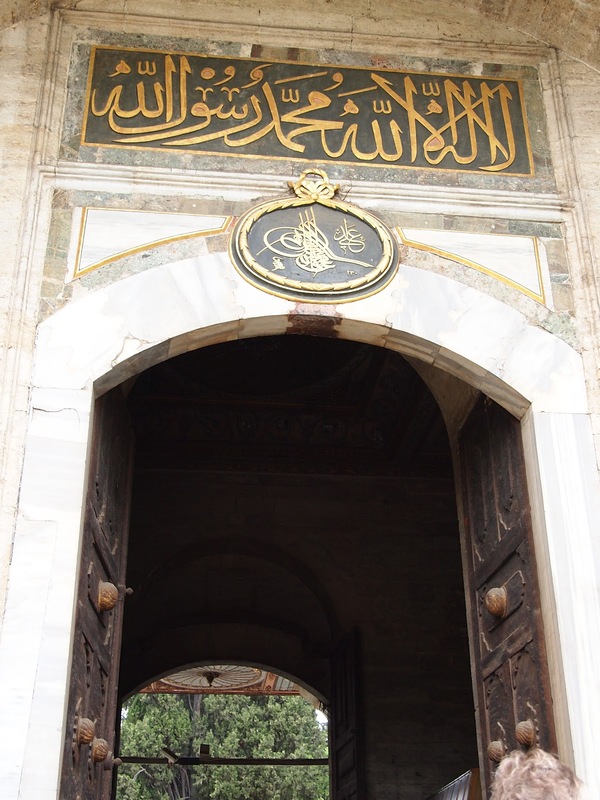 And far from all being the Sultan’s lovers most of them would not have even been in the same room as the Sultan. Only three or four would ever bare his children. 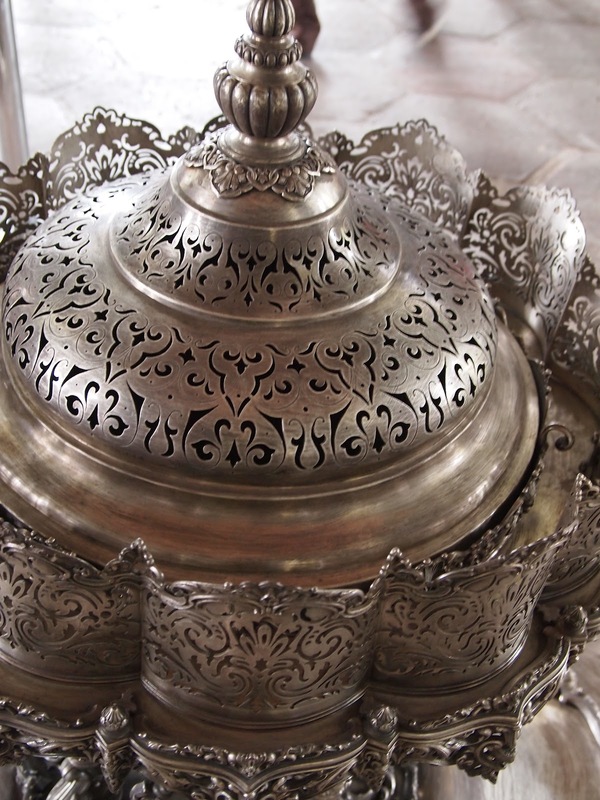 However many of the women of the Harem were not concubines but rather members of the Queen-Mother’s court. The Sultan’s mother was in charge of the Harem and was a hugely significant member of political life even up to relatively modern times. There were amusing stories like one Queen mother slapping the Empress of France across the face for being too familiar with her son. 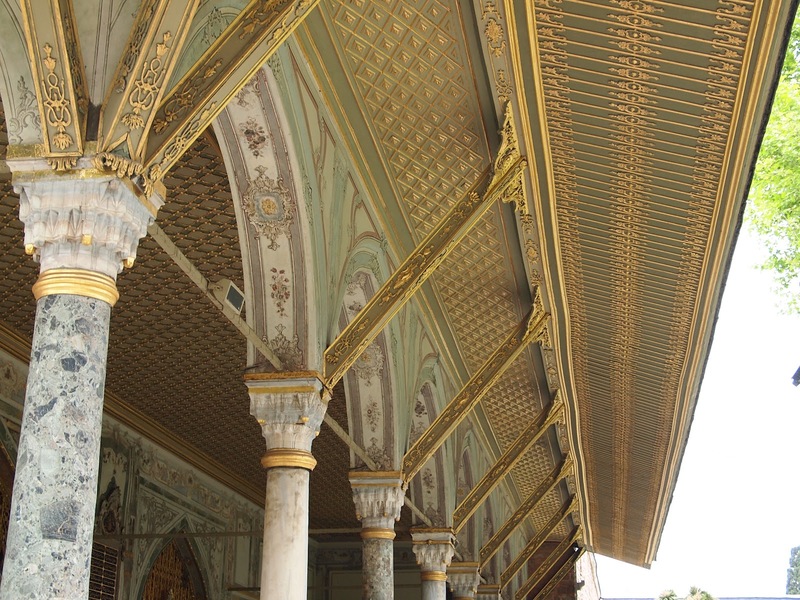 The Sultans’ brothers were also kept in the Harem to prevent battles of succession. But as this seemed to be the most politically charged place in the palace I wonder how well this worked. 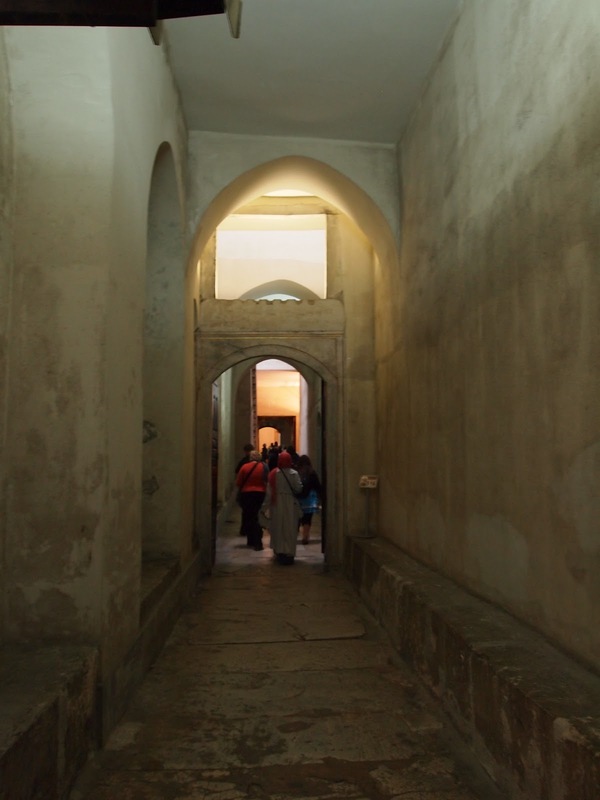 The Harem passages and rooms resembled a labyrinth and all these women would have lived in very close quarters with each other. The internal politics of the place must have been fierce. 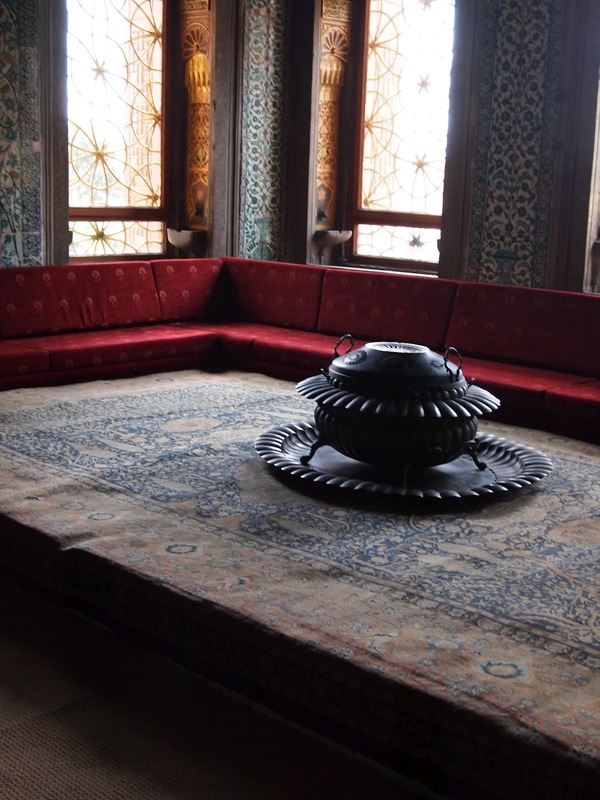 This is where the real back-room politics of the Ottoman Empire took place. 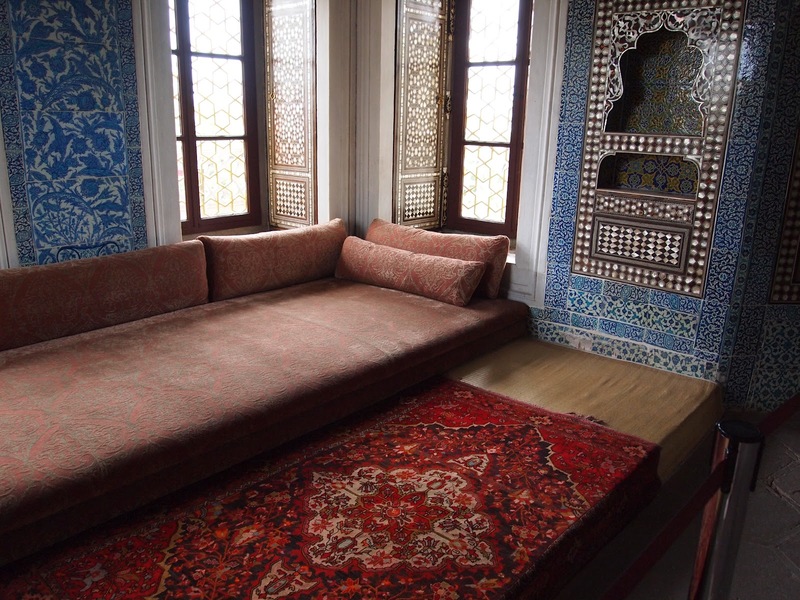 Not only that but it was beautifully decorated in a much more livable kind of luxury than elsewhere in the palace. Wandering from room to room you could almost feel the weight of history of ordinary women, running about their daily lives, pouring from the stones.